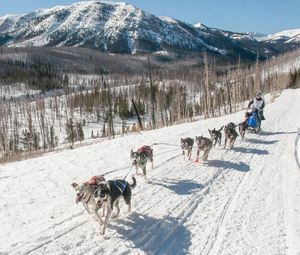 The Big Piney-Marbleton Stage of the Pedigree Sled Dog Race was held on Tuesday, January 29th. 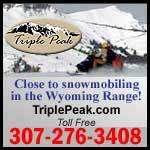 For race results go to www.wyomingstagestop.org. Photo by Pedigree Sled Dog Race. Mammography screenings will be available at the Marbleton/Big Piney Medical Clinic Wednesday, Thursday and Friday, May 1, 2 & 3. Schedule your appointment with St. John’s Hospital at 307-739-7531. Jackie Meador from Marbleton took First Place in the 2019 Wyoming State Spelling Bee which was held on March 23 on the Western Wyoming Community College campus in Rock Springs. There were 75 spellers registered who represented 17 counties across the state. Paschall McDaniel from Jackson took Second and Lily Hitchcock from Lander took Third. The LaBarge 2nd Annual Gun Bash will be held on Saturday, April 6th at the Sublette County Fairgrounds in Big Piney from 6 – 9PM. Ten guns will be given away and a Grand Prize of a Wyoming Game & Fish Commissioner’s License. Dinner will be prime rib, and there will be a band and lots of other prizes. Please call Arlene for more information or to buy a ticket, 307-390-7666. Pedigree® Stage Stop Race Director, Dan Carter, today announced the winner of the final Teton County Stage and the overall winner of the 2019 PEDIGREE® STAGE STOP RACE. Anny Malo from Quebec, Canada is the winner of this year’s Pedigree® Stage Stop Race with a cumulative overall time of 14:34:02. Emilie Entrikin from Fairbanks, Alaska placed second overall with 15:13:23 followed very closely by Alix Crittenden from Bondurant, Wyoming in third place with 15:13:34 just 11 seconds behind Entrikin. Jeff Conn from Ester, Alaska placed fourth with 15:14:38; and Dave Torgerson from Red Lodge, Montana placed fifth with 15:17:30. Lina Streeper from Fort Nelson, B.C., Canada won today’s final Teton County Stage 7 running the 32-mile course in 1:59:59. Dave Torgerson placed second with 2:01:49 and Érick Laforce followed in third place with an overall elapsed time of 2:02:28. Jeff Conn and Alix Crittenden placed fourth and fifth with 2:02:38 and 2:03:12 respectively. Awards and cash prizes will be presented at the final banquet in Jackson, Wyoming Saturday night. Go to www.wyomingstagestop.org/race_overview/2019-race-results-archives/ for complete race results and times. 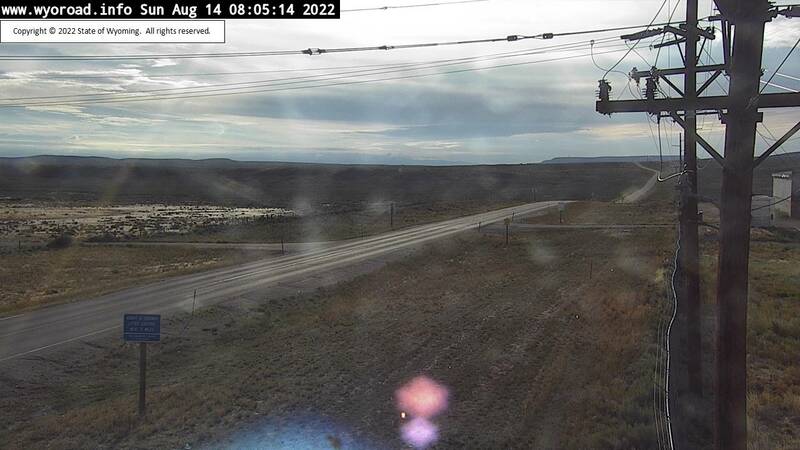 PUBLIC NOTICE: Forest Road #10024 heading to Middle Piney Reservoir is now closed above Sacagawea Campground for the next three summers while the dam is being reconstructed. There will be heavy equipment up and down that road. Due to a safety concern for both the public as well as the construction crew, the road will be closed to all traffic during the summer season (including on foot). The back side of the lake will still be open to the public, but know that it is going to be a long hike OFF-ROAD AND OFF-TRAIL, and there will be NO MOTORIZED access. According to the Wyoming Water Development Office, the dam is in need of reconstruction due to its high risk of failure. The State is also funding the reconstruction project. Construction is going to take the shoreline down to its natural level and completely reconstruct the man-made dam. Because of the short field season in the area, the process is going to take at least three years to complete. During the winter season, while construction activity is on hold, NW Construction will remove their equipment and supplies as much as possible to allow winter access. Please call the Big Piney Ranger District of the Bridger-Teton National Forest for more information, 307-276-5800. In a joint release issued on Tuesday (May 29, 2018), Sweetwater County Sheriff Mike Lowell and County Treasurer Robb Slaughter described the details of Wyoming statute concerning vehicle registration for non-residents working in the state. "The Wyoming statute that addresses this issue," Slaughter said, "is W.S. 31-2-201 (j) and (k). It can be reviewed online at the State Legislature’s website at http://www.wyoleg.gov/StateStatutes/StatutesConstitution?tab=0 ." 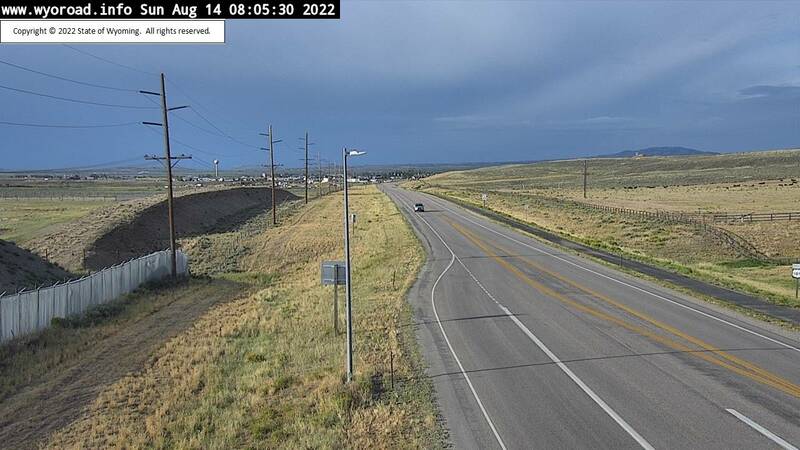 A non-resident who is employed in Wyoming, on either a temporary or full-time basis, and who is the owner or operator of a vehicle in Wyoming that is not a commercial vehicle must immediately obtain a valid Wyoming registration or purchase a temporary registration. To obtain a temporary registration, their vehicle must display a valid registration from another jurisdiction and be properly insured. Application is made in person at the County Treasurer’s Office at the Sweetwater County Courthouse at 80 West Flaming Gorge Way in Green River. The fee for a temporary registration is $50.00 per month and cannot exceed 120 days per vehicle. If a worker is going to be employed in Wyoming for longer than 120 days, a regular Wyoming registration must be issued. Lowell and Slaughter noted that Wyoming has full reciprocity agreements with Idaho, New Mexico, Illinois, and Nebraska. Non-residents working in Wyoming who live in these states may run with their regular registration. If they take up residence in Wyoming, however, (by living here over 120 days, for instance), they must obtain Wyoming registration. 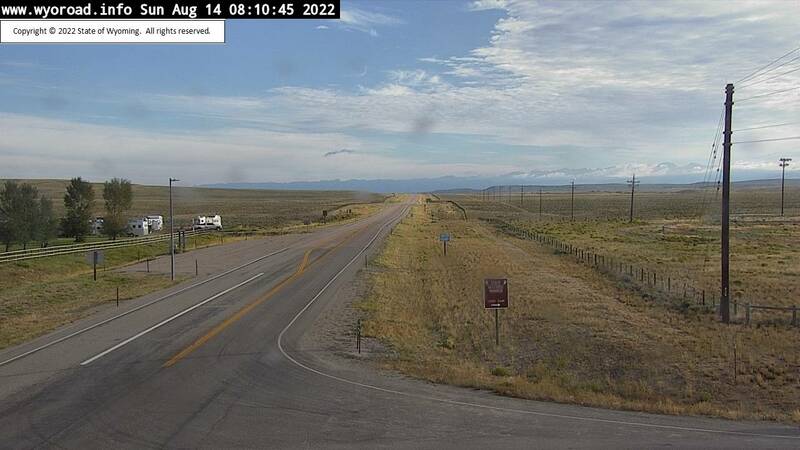 In addition, Wyoming has daily commuter reciprocity with Colorado, Idaho, Montana, Nebraska, South Dakota, and Utah. Non-residents who live in these states and commute to work daily in Wyoming may run with their regular registration. Lowell emphasized that Sweetwater County deputies are enforcing this statute, and will continue to do so. Slaughter said those with questions may contact their County Clerk’s office. Wyoming Public Radio posted an article today (Monday, January 15) about three towns that are fighting to claim the title of "Ice Box of the Nation.’ Those three towns are International Falls, Minnesota; Fraser, Colorado; and Big Piney, Wyoming. Each has had record cold recorded temperatures. Big Piney has reached -61F. The Sublette County Fair is packed with entertainment and fun. There is something for everyone to enjoy. One of the many highlights is the Lil' Buckaroo Rodeo. The audience holds their breath as these young cowboys and cowgirls try their hand at bronc riding. The evening ends with the youngest contestants competing in the stick horse barrel race. The greased pig contest is another favorite, the crowd roars with laughter watching the wave a kids overtaking the slimy critters. Spend some time viewing the livestock shows and watch the participants as they receive their awards for a job well done. Enjoy the wonderful food which some how tastes more delicious in the atmosphere of the fair festivities. Finish the night off at the rodeos with many local cowboys and cowgirls participating in the fast paced events. Visit the Sublette County Fair web page to enjoy pictures from previous years fairs. For more information visit - www.sublettecountyfair.com. The Green River Valley Museum is located on the main street in Big Piney. Artifacts from prehistoric Indians, pioneers, homesteaders and other various groups that have settled this area are on display at the museum. Many of the items displayed at the museum were donated by local families. 'Hard Hats and Stetsons' is the annual fundraiser for the museum. The name of the fundraiser itself reflects how important the cattle and oil industry have been for this valley. The museum is open Tuesday through Saturday from 12:00 Noon until 4:00 PM from June into October (opening date varies, so watch for announcements on the specific date each year). Admission is by donation. Special tours can be arranged by calling Museum Director Jeannie Lockwood at 307-276-3637. Chuckwagon Days takes place each year over the 4th of July holiday in Big Piney. There is a Lil' Buckaroo Rodeo, a parade down Big Piney's main street followed by a free BBQ at the Sublette County Fairgrounds, an afternoon rodeo, street dance and late evening fireworks (on the 4th). The "Chuckwagon Chug" a 5k and 10k Walk/Run, will be held on July 4th, before the Big Piney Parade. Start/Finish is at the Big Piney High School parking lot. There will be prizes for top finishers and gift bags for all contestants. If you are looking for local lodging and places to stay in the Big Piney-Marbleton areas, be sure to check the Sublette County Chamber of Commerce website under lodging. Big Piney and Marbleton are located about 35 miles south of Pinedale, so look under motels, RV parks and campgrounds specific to our towns. The closest campgrounds are located on the Big Piney Ranger District of the Bridger-Teton National Forest. They offer two developed campgrounds and many opportunities for dispersed camping in the Wyoming Range west of Big Piney and Marbleton. The forest boundary is approximately 20 miles from local businesses and town services. For detailed information, contact the district office at 307-276-3375. Sacajewea Campground Located 25 miles west of Big Piney. This campground has 26 sites, basic amenities, and is open June 15th through September 30th. The camping fee is $7.00 per site, per night. This campground has running water, an on-site host, and is well maintained. No electricity, showers or phone. Middle Piney Lake Campground This is a primitive campground located further down the road from the Sacajewea Campground. This camp area is next to Middle Piney Lake and has 5 tent sites, tables and pit toilets. NO running water, electricity, showers or phone service. NO fees. Because of the narrow winding road to this campground, it is not recommended to take trailers to the lake site. Forest Service Cabins Big Piney Ranger District offers two Forest Service work centers for rent for overnight stays. One is located at Snider Basin and the other in the Hoback. Contact the Big Piney office for more information on availability and fees. NOTICE ABOUT BEARS: These campgrounds are in bear country. Both black bears and grizzly bears inhabit the Wyoming mountain range. Visitors are strongly encouraged to practice clean camping techniques and store attractants in a manner that makes them unavailable to bears. Bear-proof canisters are available for rent from the Big Piney Ranger District office. Bear-proof dumpsters are located at various locations at campgrounds and recreation areas on National Forest land. There are practically unlimited opportunities for dispersed camping on the Bridger-Teton National Forest near Big Piney/Marbleton. The forest boundary is approximately 20 miles from town. Stay limit is 16 days in any one location. Campers should either bring their own water or boil water obtained from sources in the outdoors to avoid getting sick from organisms that live in lakes and streams. Do not drink untreated surface water. Dispersed camping is available along the Piney, Cottonwood and LaBarge Creek drainages. There are no developed campgrounds on BLM land near Big Piney or Marbleton, however there are many places for dispersed camping for those who are prepared to bring their own drinking water and camp without developed facilities. For more information, contact the Pinedale Field Office of the Bureau of Land Management in Pinedale. There are several private businesses that offer RV campsites for overnight and extended stays. Most have power, water and sewer hookups. 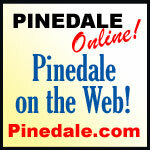 Click here to our sister website, Pinedale Online, for info about private RV campgrounds and services. Big Piney, Wyoming, "Ice Box of the Nation"
Big Piney is the oldest settlement in Sublette County, Wyoming and was named by Dan B. Budd for the Piney Creeks. In 1879, Daniel B. Budd and his partner Hugh McKay brought a thousand head of cattle from Nevada hoping to ship them at Point of Rocks, but winter caught up to them here in the Green River Valley. The following year Dan Budd moved his family here and that is how the settlement of this town began. 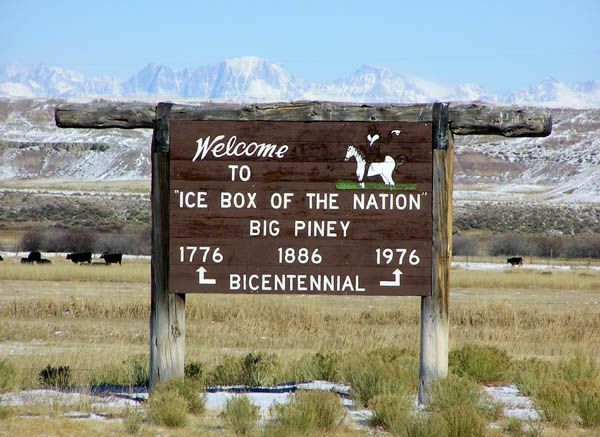 Big Piney was called "Ice Box of the Nation" when it was officially made a weather station in 1930. Big Piney had the coldest year round average temperature of any place nationally. It's a curiosity, considering most Wyoming towns are few and far between, that Big Piney and Marbleton would only be a mile apart. They have separate post offices and town governments. Big Piney was incorporated on July 5, 1913. In the early days there was a lot of drainage problems with the site on which Big Piney was built. So Charles Budd, eldest son to Dan B Budd had hope to build the town up on the bench to alleviate this problem. Charles did establish Marbleton on the bench, in late 1913, but it never replaced Big Piney. Any attempts to combine the two towns has been unsuccessful. The truth is people here kinda' like it that way. Both towns cooperate with each other, they have a common school. The citizens of these two towns take a lot of pride in the growth of their little metropolis over the past years and think the founders would be proud too. Both communities have thrived in the last several decades because of the oil and gas industry. In the 1980's Marbleton recieved it's own post office, because of the number of people moving to the area. 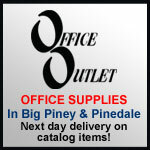 please e-mail: info@bigpiney.com or info@marbleton.com. May 1, 2 & 3: Mammography Screenings in Marbleton At the Marbleton/Big Piney Medical Clinic. Schedule your appointment with St. John's, 307-739-7531. May 2: Rural Health Care Q & A in Marbleton The Sublette County Rural Health Care District invites the public to join Dave Doorn, Administrative Director, and members of the Board, to discuss the future of health care in Sublette County. The session will be held on Thursday at 12:45PM at the Southwest Sublette County Pioneers Senior Center in Marbleton. Another session will be held in Pinedale in June. May 4: PFAC Kentucky Derby Party & Annual Fundraiser Saturday at the Sublette County Fairgrounds north of Marbleton. Starts at 3:30PM. This is a fundraiser for the arts in Sublette County. VIP Table $500, Sponsor Table $300, Stud Fee Sponsor Table $150. Donate online at www.pinedalefinearts.com or mail a check to PFAC, PO Box 1586, Pinedale, WY 82941. May 27: The Marbleton Medical Clinic will be closed today Both the Pinedale and Marbleton Medical Clinics will be closed today For Memorial Day holiday. June 22: Big Piney/Marbleton Airport Annual Fly-In/Car Show & Pancake Breakfast. Starts at 8AM. June 14-18, 2019: Sublette County Rock Hounds Club 3rd Annual Gem & Mineral Show Friday, Saturday & Sunday at the Sublette County Fairgrounds in Big Piney. Friday & Saturday from 9AM to 5PM. Sunday from 9AM to 4PM. Exhibits, field trips, raffles, door prizes, fluorescent mineral display, kids' activities. Food concession on-site. Demonstrations on knapping, wire wrapping, faceting, gold panning. There will be rough rock, slabs, beads, jewelry, cabochons, jade, supplies, opal, fossils. The Grand Prize for the raffle is a new mineral rock discovery from Brazil. Admission is $2.00 for adults. July 3 & 4: Chuckwagon Days Little Buckaroo Rodeo on the 3rd. 4th: Early morning walk/run, pancake breakfast, parade down Main Street in Big Piney, free community BBQ lunch, rodeo, fireworks at dusk, street dance in Big Piney. July 20: 3 on 3 Basketball Tournament At the Big Piney Recreation Center. This event is hosted by the Big Piney Booster Club. August 3: 4 on 4 Volleyball Tournament At the Big Piney Recreation Center. August 10: BPR Sprint Triathlon At the Big Piney High School. Hosted by Friends of Big Piney Recreation. September 2: The Marbleton Medical Clinic will be closed today Both the Pinedale and Marbleton Medical Clinics will be closed today For Labor Day holiday. © 2005-2019 WRWS LCC. All rights reserved. May not be used without permission. Photos by Pinedale Online unless otherwise credited.